I recently spoke to a young man, who’d tried, in vain, to astral project for five long years. He was feeling disillusioned, demoralized – and was in despair, wondering if his struggle would ever pay-off. I have written before about the reasons why astral projection isn’t working for you. The problem is, most guidance on how to project is really vague. It doesn’t give you concrete steps to follow, and no suggestions on monitoring your progress. No wonder so many people struggle! Often, the problems you may be having are simply due to your Mental Conditioning. Affirmations are incredibly powerful tools to reshape your mind, and in my view are essential. You don’t have to use the same ones each time – feel free to mix them up. The purpose of these is to reinforce your desires in your subconscious. Use these affirmations each day, even when you’re not planning to try to project – make it a habit. You can use them before sleep, or after sleep – but they should be used close to the times you sleep, since that’s when you’re closest to your subconscious state. Personally, I’d recommend before AND after sleep, for extra impact. Finally, don’t forget to remind yourself why you want to astral project! 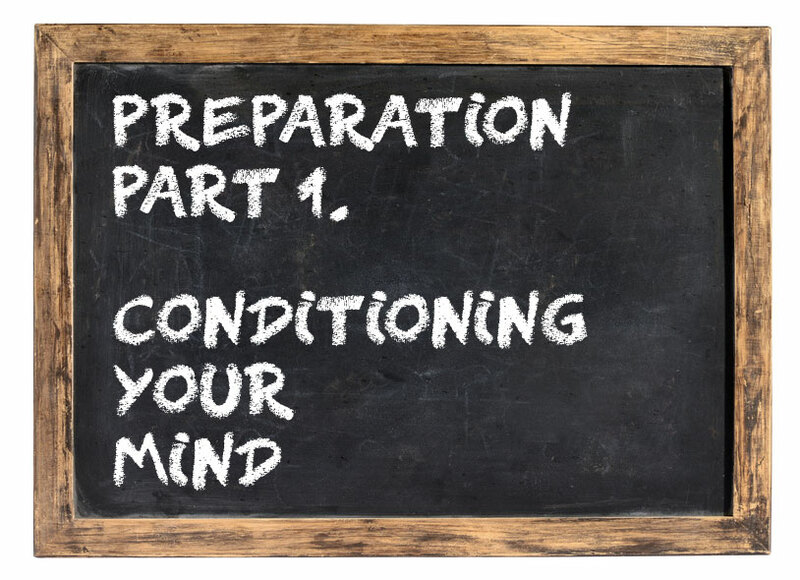 This is very helpful, yet most guides only skim over this important part of preparation – yet you can do this many times a day, in many different ways – and the more you do this, the more you’re prepping yourself for success. In as much detail are you want, or are able to manage, imagine that you are flying. Choose how you are flying – are you flying like Superman? Or are you flying like a bird or a plane? How fast are you moving? What scenery is passing around and below you? Is it day, or is it night-time? What sounds can you hear? Is it warm, or cool? Imagine the feel of the air against your skin, in your hair. I used to live in the Snowdonia National Park, in Wales, and a lot of Royal Air Force training took place in the mountains – I like to imagine myself on the exhilarating flight down through the valleys and then skimming the mountains as I remember the Air Force jets doing. You may prefer to imagine yourself riding the thermals – perhaps like a bird of prey waiting patiently for dinner to show its face. Whichever way you choose, the idea is to immerse yourself as fully as you can. If you struggle with these visualization exercises, you might find it helpful to start with this trance exercise that uses imagining colors. With your eyes closed, imagine you are touching yourself. Nothing sexual – that may be pleasant, but won’t help your projection techniques so well! If you need to, touch yourself for real, to remind yourself of how it feels. For instance, notice how the touch of your hand feels to your knee. And at the same time, notice how your knee feels to your hand. Try and recreate those sensations in your mind. At first, it won’t be very easy, but the more you do it, the more easy, and effective, it becomes. If you’ve got a picture on your wall, of a landscape or town scene, go and take a really good look at it. Doesn’t matter if it’s a photo, an illustration or a painting. Try and take in every detail. Every texture, every shadow. Now, walk away, and try to remember it exactly. Follow this process each day – and later on, you can actually use and expand upon this method to induce a projection. But in the meanwhile, it’s a really good way to condition your mind ready to project. Have you got a favorite place that you like to take a holiday? Or a place you go, or used to go often? Try to really take yourself back there – imagine what you can see, but also the sounds, the smells, how it feels. Are you at the beach? How does the sand feel? How hot is it? How fine is the sand? Can you feel the sun beating down on you? Is there any breeze? Reading about what you are trying to learn is always an effective method to reinforce your goal. If you’re often reading books, blogs and forums about astral projection, this is often more effective than affirmations alone. I often find that when I’m reading most (or writing most) about astral projection, it happens much more often – and I’m sure I’m not alone in this. Anything that gets you thinking actively, and actively is the key, helps to condition the brain for success. However, avoid any online reading for at least an hour before your normal bedtime. The glare from electronic devices definitely doesn’t help with sleep, and lack of quality sleep has a very negative effect on astral projection. Since conditioning your subconscious mind is such a vital stage of learning to astral project, you won’t be surprised to discover that hypnosis and subliminal suggestion are incredibly powerful. In fact, using hypnosis and suggestion is often more effective than all the other previous techniques, combined. Well, all of the other techniques are ways to get into your subconscious – to stop your subconscious mind from sabotaging your efforts, to get you ready for the sensations you’ll feel. Much of what we want to do is this – to prevent doubt and fear from stopping a projection in its tracks. Hypnosis and suggestion are so much more powerful, because they go DEEP, right into the subconscious mind! Plus, they can be developed to include some of the imagination exercises I described earlier. In my one-on-one training, I use some hypnotic techniques, and they work great – however, since I’m not a certified hypnotherapist, I hesitate to use these methods in an online capacity. By this, I mean feeling compassion for the world. I can’t overstate this – the love and compassion you feel DO work as a preparation. Focus on meditation not for the sake of astral projection, but for your own personal growth and peace of mind, and know that this will bring you closer. Learning to “still the mind” is a skill that will serve you for life, and will benefit the people you love and, ultimately, everyone you encounter. I realize this might sound “hippy”. Still, this is a key to how successful your astral travels are, to which planes you travel to, and also serves to protect you if you do encounter anything frightening. To a great extent, your motivation, and your compassion dictate the mood-colors of your experiences. I’ve mentioned this in another post, but I can’t overstate the benefit of keeping a diary or journal of some kind. You may prefer a dicta-phone, or to keep a video diary, but for my part I like a good old fashioned journal. There is plenty of evidence showing that keeping a journal is very helpful for achieving any goal you’ve set your mind to. Among many others, Tim Ferriss, life-hacker, author, and investor swears by the process. I prefer to write in one that is reasonably high quality – I want to enjoy writing in it. But at the same time, anything too high-priced will make me self-conscious, and cautious to write anything I later become embarrassed about. If you are trying the exercises above, or any of the ones I teach on other posts, it’s a good idea to record when. Once you combine that with recording your dreams, and any other factors that seem important, eg food, alcohol consumption, stress, physical exertion, it’s incredible how quickly you’ll start to discover the route that will work best for you. Either way, recording your progress makes the desire to succeed clearer in in your subconscious – which in turn will create more successes, followed by more to write about, and so on, reinforcing your efforts in a virtuous cycle.